Over the years, there have been so many people who have worked tirelessly to promote and expand the Quarter Horse industry in Arizona. Additionally, there have been outstanding horses that made influenced the breed and the lives of all who appreciate the versatile American Quarter Horse. AzQHA is pleased to recognize these individuals, and their achievements. Along with our Hall of Fame, AzQHA would also like to honor our past winners of the AzQHA / AQHA Professional Horseman of the Year. These winners had to be AQHA Professional Horsemen and also be an AzQHA member. These winners have worked towards the future of our industry by being positive and innovative in business endeavors, is a fair and upstanding business person that upholds the ethical standards of AQHA Professional Horsemen and promotes AzQHA. Nominations for the 2018 Class of Inductees is now open. 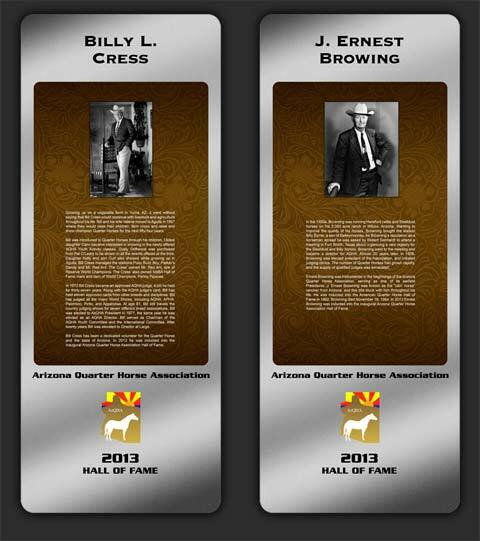 You can nominate using our on-line form or download the Arizona Quarter Horse Hall of Fame nomination package. 1. 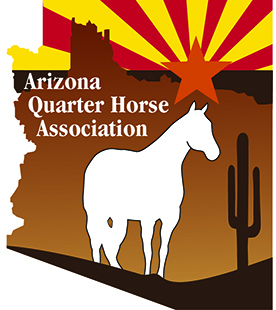 Nominee must be or have been, over a period of years, significant in the growth of the Arizona Quarter Horse industry; or have been outstanding in his/her area of activity involving the American Quarter Horse in Arizona. 2. Nominee honors or awards at the AQHA level may be considered in part, but will not be the only criteria for induction. 3. Nominee may be living or deceased. 1. Nominee must have been outstanding over a period of years as a sire, dam, or competitor. 2. Nominee must have been owned by a resident of the State of Arizona. 3. Nominee must have been registered as an American Quarter Horse. 4. Nominee must be deceased.